James Cameron’s Lightstorm Entertainment is set to produce ‘Fantastic Voyage‘ with a script from David Goyer (‘Batman V Superman: Dawn of Justice‘) and Justin Rhodes (‘Contract Killers) and now del Toro to direct the 3D remake from Twentieth Century Fox. Let’s refresh your memory on the story of Voyage which came out in 1966 and starred Raquel Welch and Stephen Boyd. Scientist Jan Benes, who knows the secret to keeping soldiers shrunken for an indefinite period, escapes from behind the Iron Curtain with the help of CIA agent Grant. While being transferred, their motorcade is attacked. Benes strikes his head, causing a blood clot to form in his brain. Grant is ordered to accompany a group of scientists as they are miniaturized. The crew has one hour to get in Benes’s brain, remove the clot and get out. With a picture of this size we can expect nothing less than it being a major studio event and likely a tentpole for summer relase, although we don’t have any type of projection for release date. 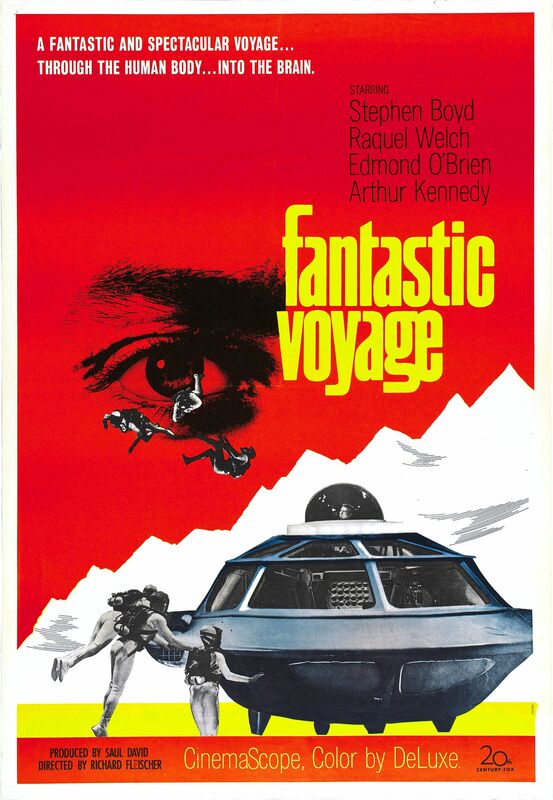 So what do you think, yay or nay on a ‘Fantastic Voyage‘ remake? This entry was posted on Friday, January 8th, 2016 at 11:19 am	and is filed under Film, News. You can follow any responses to this entry through the RSS 2.0 feed. You can skip to the end and leave a response. Pinging is currently not allowed. « Rob Zombie’s ’31’ Finally Receives an R-Rating!! !